Please contact owner Mike at 516-448-2088. Boat is located in Sea Cliff, New York. 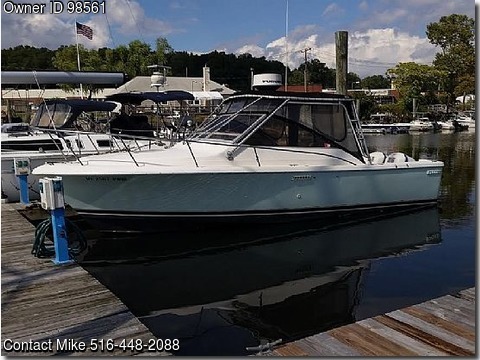 raytheon fish finder,VHF, Depthfinder, Trim tabs, fresh water system, dockside power, plenty of storage, deep V, enclosed pumpout head, sleeps 2, Canvas, hard top.